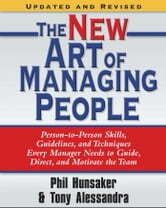 A fully revised and updated edition of The Art of Managing People, offering the latest wisdom on crucial guidelines and techniques for creating a positive work environment and increasing productivity and profitability. 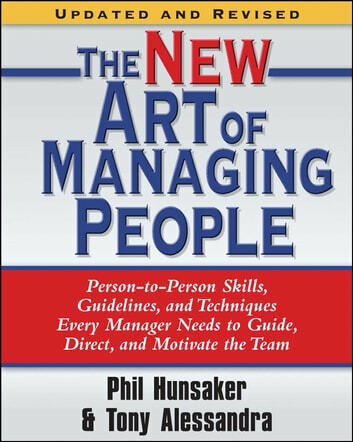 From the award-winning authors of the bestselling management classic comes the revised and updated edition of The New Art of Managing People, featuring eight new chapters on important contemporary business issues such as ethics, diversity, managing conflict, and creating high-performing teams. When a manager establishes a friendly yet productive working atmosphere, the benefits to the entire organization are substantial. Here, Dr. Phillip L. Hunsaker and Tony Alessandra clearly provide practical and accessible strategies, guidelines, and techniques for managing the best team you could possible have.